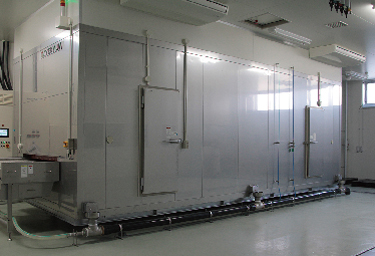 Information of a new factory equipment - Suenaga Kaisan Co., Ltd.
which are HACCP-certified by the Japan Fisheries Association. 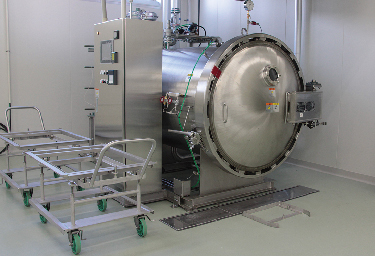 The ultrafine bubble generating system used for this line thoroughly sterilizes water, leaving behind no bacteria, to provide a consistent supply of purified water for use at the factory. 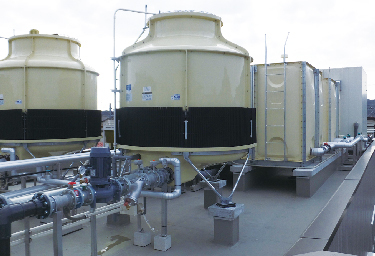 The ceramic membrane filtration system is also used to make seawater as well as service water clean and safe. 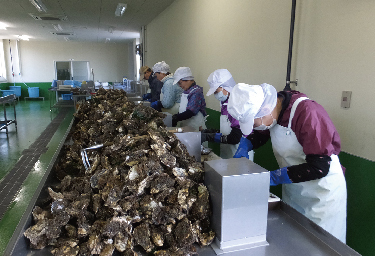 Oysters are frozen in an ultra-rapid freezer immediately after being rinsed on the seawater purification line and shelled to maintain the freshly shelled flavor. 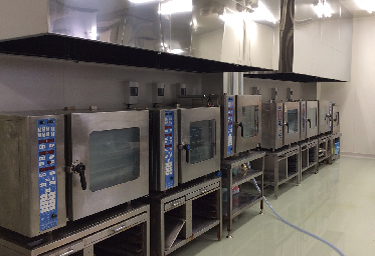 The steam convection ovens are able to give each marine product the appropriate texture and are also able to set the desired best-before/expiration date for the product. Marine products are grilled at a high heat from above and below to bring out their distinctive aromas. We outsource wakame farming using our original rafts, and control all steps of the production process from planting seeds and reaping to boiling and shipping. The natural crisp texture of new wakame can be enjoyed from January 4. Raw oysters, wakame, sea pineapples and scallops are instantaneously frozen to keep them as fresh and flavorful as if they were ocean-fresh for a year. 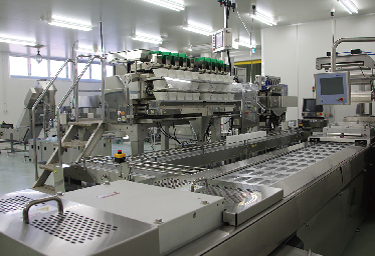 Our packaging machines meet multiple needs while attaining high levels of hygiene. 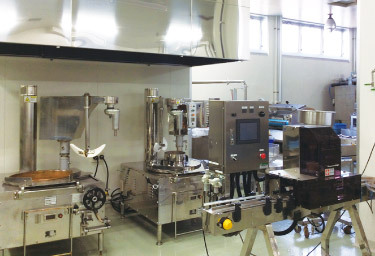 These multifunctional packaging machines with a nitrogen gas filling function and a vacuum function can package products according to customer needs and how the product will be sold. A new-type retort-pouch food cooker has been introduced to create even better ingredient textures and flavors and provide customers with fresh and flavorful products throughout the year. 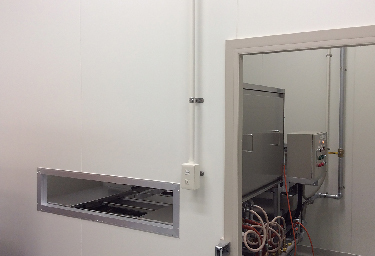 In order to ensure the freshness of our products, we adopt the Cells Alive System (CAS), which uses electromagnetic waves to stabilize water molecules in food during freezing. 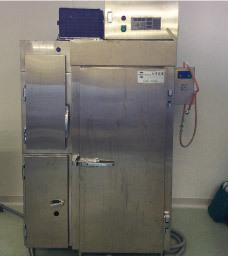 This enables food to be frozen with greater freshness. We employ hot and cold smoking techniques to condense the flavor and aroma of the food while meeting the needs of customers who want products with a long shelf life and appetizing colors. Gas cauldrons help develop the color of ingredients, moderate the flavor, and give our product the taste and appearance of handmade miso paste. Main ingredients account for more than 50 percent of all ingredients used in each product. •Inspection: we carry out prompt inspections to ensure food safety. 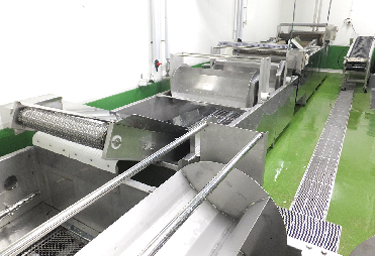 •R&D: we develop new products using oysters, other shellfish, and seaweed, which are used in our leading product lines. 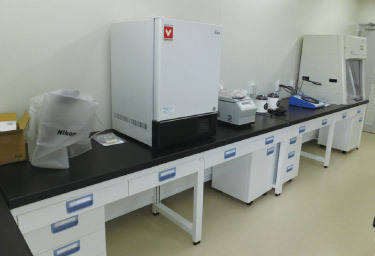 Our R&D lab is well equipped with facilities that assist us in developing products reflective of changes in food culture.